Israeli Defense Minister Avigdor Liberman warned Syria on Friday that if the Assad regime did not remove the Iranian military presence from its borders, the country would suffer “problems and destruction”. In an address Liberman made during a visit to Israel’s Golan Heights Friday, the Defense Minister advised Syrian President Bashar al-Assad to “throw” Iran’s Revolutionary Guards out of the country. 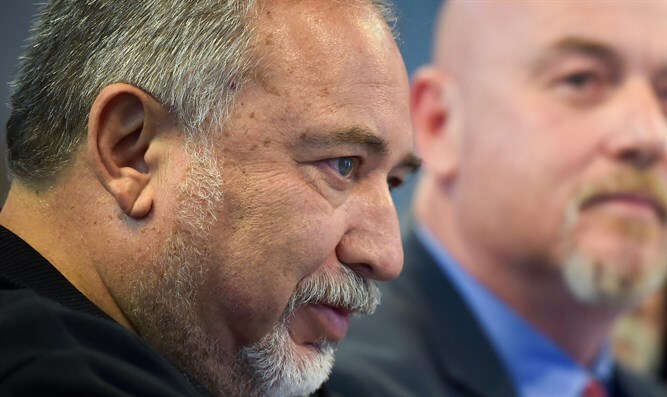 When asked whether he believed Israel’s retaliation earlier this week following an Iranian attack on the Golan would deter Iran in the future, Liberman said that despite Israel’s successful operation against Iranian forces, it was too early to celebrate. On Wednesday night, Iran’s Quds Force fired 20 rockets at the Golan Heights from positions in southern Syria. Four of the rockets were shot down by Israel’s Iron Dome missile defense system. The remaining 16 rockets landed inside Syrian territory. Israel Air Force jets retaliated later that night with pinpoint airstrikes against a dozen Iranian targets across Syria, killing 18 Iranians and 5 Syrian troops.